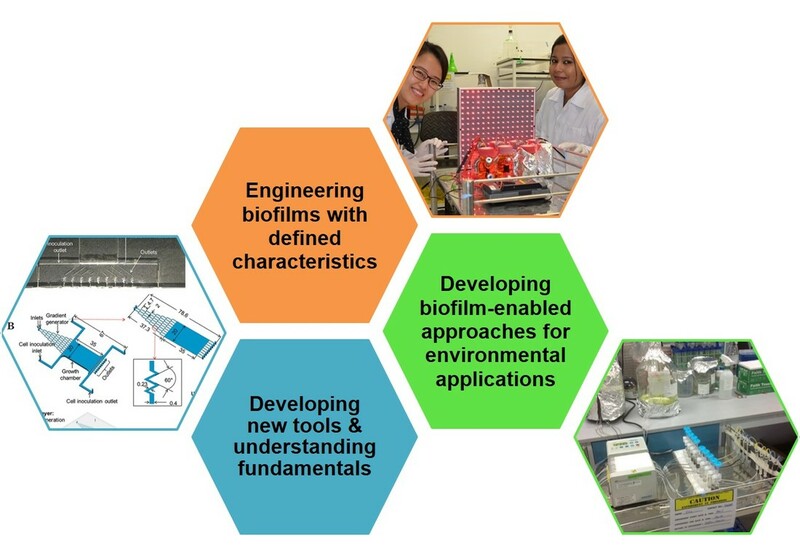 The Environmental Microbial Biofilm Biotechnology (EMBB) research group led by Dr. Bin CAO is affiliated with the School of Civil and Environmental Engineering and the Singapore Centre for Environmental Life Sciences Engineering at Nanyang Technological University, Singapore. Our group is always glad to host highly motivated international students and researchers for research visits. We are also open to international collaborations on topics of our mutual interest. Interested students/researchers are encouraged to contact Dr. Bin Cao (bincao at ntu.edu.sg).